Dryer vent cleaning is a service of high priority. Typically, you would need a dryer vent cleaning service when you dryer is not working properly. Due to the high voltage and extreme temperatures, dryer vent cleaning could possibly save you from fire hazard. 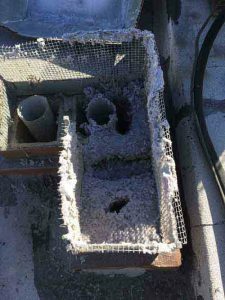 What really stands behind the need for dryer vent cleaning? Our clothes dryer is connected to an exhaust that lets the hot air out if the house. Otherwise, great heat and humidity would get captured inside your home and could cause sever damage. However, while the dryer is drying our clothes, it also generate lint from the fabric of our clothes. That lint is getting filtered for the most part. Nevertheless, some lint manages to escape into the dryer vent and to the outside. So, with time the lint will get built up inside the dryer vent and slowly block the air.Therefore, with time the hot air would have no where to exit and create extreme heat inside the dryer vent. That heat could light up the lint on fire, as lint is extremely flammable. In addition, it would not allow your dryer to dry the clothes properly. Many time you will find yourself going through many hours of drying while the clothes are still wet. For this reason exactly we have our deep dryer vent cleaning that is geared to open the dryer vent along its length.An average dryer vent is at the length of 7 feet long. However, depending on construction style, some dryer vents could reach up to 30 feet long. Therefore, professional equipment is needed and much experience in order to clean the dryer vent. Anaheim, CA, is a home for many families. In addition, your children in every family go to school and play sports. Therefore, you find yourself with more than 3 loads of laundry every day. That means the process of clogging the dryer vent is rushed. So, in order to save on electricity costs and eliminating the risk of fire at your home, schedule your dryer vent cleaning Anaheim now! Please contact Dr. 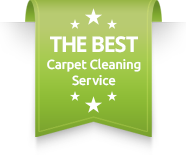 Carpet Anaheim for more information about our dryer vent cleaning Anaheim service.